BioBubble Drinking Fountain Media Filter Pads 2 pack 4" x 3.5" x 5",Keep your water fresh with these replaceable filters. BioBubble Drinking Fountain Media Filter Pads 2 pack 4" x 3.5" x 5"
Keep your water fresh with these replaceable filters. 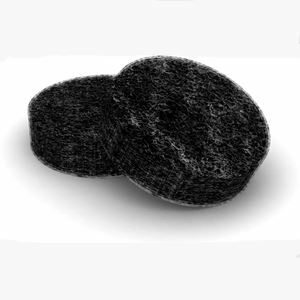 Replaceable activated carbon pads keep water fresh, filtered and purified.